A revolutionary new masticating whole fruit slow juicer! 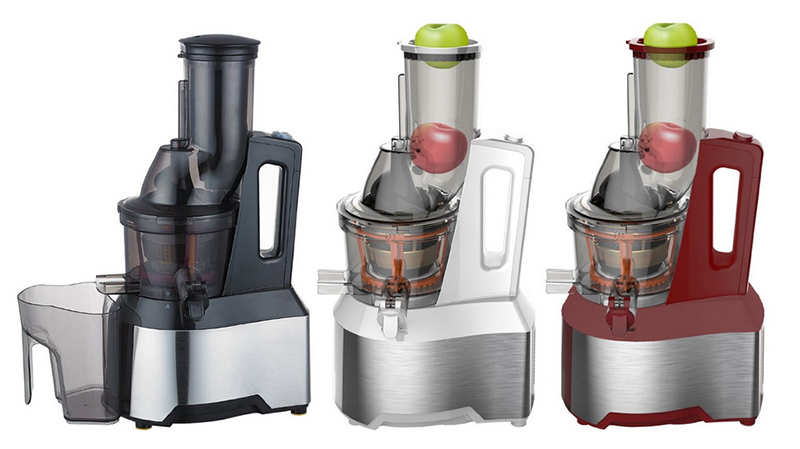 WHAT IS THE OPTIMUM 600 SLOW JUICER? SO WHAT DO I THINK OF MY OPTIMUM 600 SLOW JUICER? 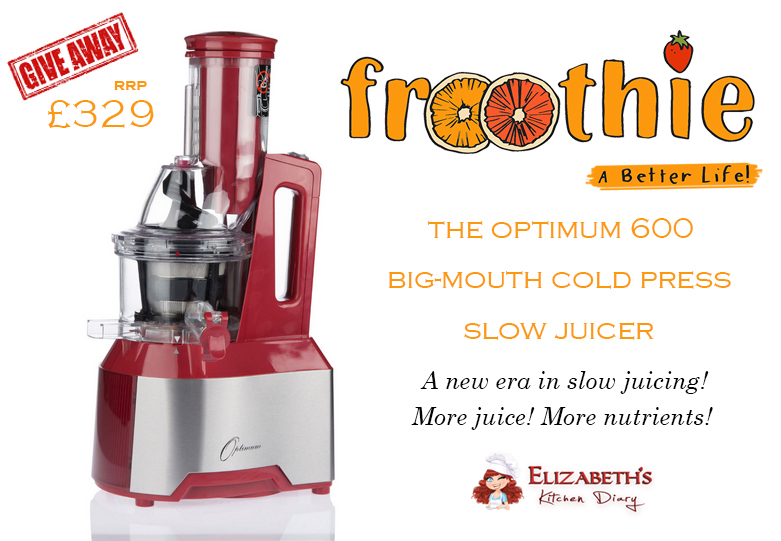 The Optimum 600 is the latest slow-juicing sensation from Australian-born company Froothie. Over the last few years, slow juicers have become extremely popular around the world, replacing traditional centrifugal juicers as the appliance of choice for fresh quality, home made juice. Until now, slow juicers have had one big drawback: a small feeding chute, meaning you had to chop your fruit and vegetables in advance. The Optimum 600 slow juicer has a wide mouth, meaning fruits and vegetables can go in whole without any food preparation, saving you valuable time. The powerful auger in this machine masticates whole fruit and vegetables in a matter of seconds! Slow juicers produce a greater yield, less oxidization and better quality juice making traditional centrifugal juicers a thing of the past. We’ve had it drilled into us that we should all be eating more fresh fruits and vegetables. Sometimes it’s really hard to do this, especially if you want all the nutrients from fresh produce but don’t particularly like the taste of certain ingredients, or you just don’t want to eat a larger quantity. Combining different fruits and vegetables into a single juice can mask the more unpleasant flavours – for example, fresh beetroot when combined with apples, broccoli, celery, cucumber, pineapple and lime tastes just like a delicious and rich red berry juice (see the recipe from Jason Vale here). When it comes to veggie-phobic kids this is a great way for them to boost their nutrient intake without the need for packaged vitamins. Health benefits! Green juices are said to be highly alkalizing, with regular juicers experiencing improved energy, digestion and mental clarity. Juicing alkaline foods may also help to maintain the bodies natural pH allowing clearer skin, overall health and well being. Traditional centrifugal juicers quickly (and loudly!) shred and grate fruit and vegetables, breaking open the plant cells, damaging their contents and pushing air into the mixture. 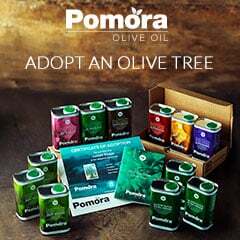 This leads to quicker oxidization and loss of nutrition. Less heat is produced by a masticating juicer, meaning cell integrity is maintained and vital enzyme and nutrient content is retained as they are not denatured. * Test results from Michelson Laboratories,Inc., Korean Food Research Institute (KRFI), and internal Froothie labs. Slow juicers produce a higher yield of nutrient rich juice compared to centrifugal juicers. Because the plant cells haven’t been broken open the juice keeps for longer too, maintaining enzyme integrity for up to 72 hours. So, if you’ve got leftovers, just pop it in the fridge and save it for later! Slow juicers are able to handle juicing leafy greens much easier than centrifugal ones – fancy some juiced wheat grass, spinach, kale and herbs? No problem! Can juice whole fruits and vegetables with no food prep required! Slow speed – Only 65rpm! Easy to clean – a special cleaning brush is included to help you get the more fiddly bits. 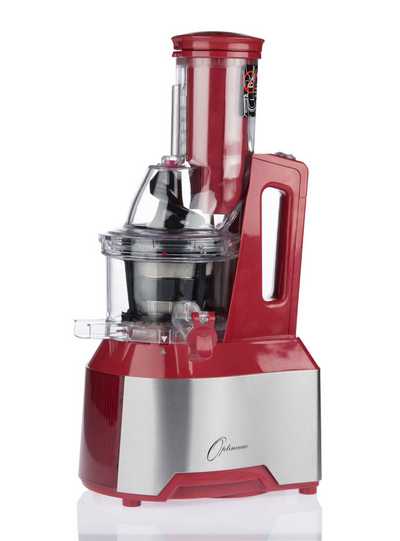 In addition to fresh juice, the Optimum 600 slow juicer can allow you to easily make ice cream, sorbets, nut butters, nut milks, smoothies, baby food and more! I’ve had two different juicers over the last fifteen years – both loud centrifugal ones and although they did make tasty juice this masticating slow juicer is a whole other experience entirely. Watching the fresh fruits and vegetables get chewed by the heavy juicing screw is really hypnotic! It’s really easy to assemble – lining up red dots on each of the components makes this a breeze, and it’s fairly easy to clean too. Its streamline. Its narrow size means it has a permanent location on my kitchen counter top, unlike my previous juicers which needed to be stored elsewhere as they were so bulky. Having the juicer on the counter top ready to go means I’m more likely to use it – all I need to do is grab some fruit and veg from the fridge, wash them and pop them in the juicer – easy peasy! It is also helping me with my weight loss goals. I try and include a daily fresh fruit juice or smoothie for breakfast and a vegetable juice with lunch or dinner. 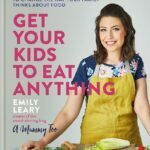 At the start of this year a group of us food bloggers joined together to launch Jumpstart 2015 – a pledge to include more vegetable loaded juices, soups and smoothies in our diet. To find out what we’ve all been up to search for the #Jumpstart15 hashtag on twitter! Eating more vegetables means less room for the less healthy foods, and so I’m pleased to report that I’m down one stone (14 lbs) so far! If you like what you see, you’ll be delighted to hear that Froothie offer a 30 day guarantee on their appliances*! Buy one and try it for 30 days, and if it hasn’t reached your expectations they will refund your money, including the cost to ship the juicer back to them! Read more about this pledge and for more information on the Optimum 600 slow juicer visit their website. *Offer correct at the time of writing this post on the 5th of February 2015 – check their website to confirm. 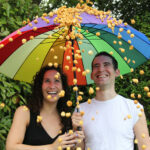 Find Froothie on Facebook, Twitter and Instagram for regular recipe updates and offers! I am delighted to announce that Froothie UK have offered my UK readers the chance to win one of their Optimum 600 slow juicers! Enter via the Rafflecopter widget below. UK entries only. For your chance to win an Optimum 600 slow juicer from Froothie RRP £329 enter using the Rafflecopter form below. Come back and tweet about the giveaway every day for more chances to win! This giveaway is open to UK entries only. Entrants must be age 18 or over. The winner will need to respond within 72 hours of being contacted; failure to do this may result in another winner being selected. The prize is offered and provided by Froothie UK. The prize is an Optimum 600 slow juicer from Froothie RRP £329. There is no cash alternative and the prize is not transferable. There is no entry fee and no purchase necessary to enter this giveaway. The promoter (Elizabeth’s Kitchen Diary) reserves the right to cancel or amend the giveaway and these terms and conditions without notice. Closing date is midnight on Monday 30 March 2015 (GMT) and the winner will be announced that day. A shame you programmed Rafflecopter to close the draw 24hrs early. You should have entered 23.59. Banana and strawberries all night long! I read about this green power juice which has Kale, carrots, apples, cucumber & ginger in. Would love to try it. Beet, kale, lemon and carrots! defo a super green!! love them!! Loving the sound of the heart beet so I’d try that! 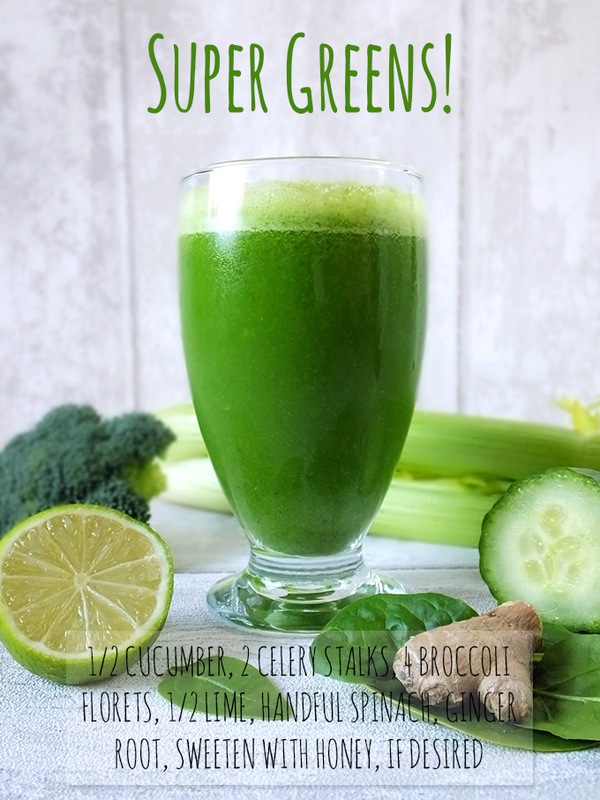 Definitely Super Greens – I love green juices! Carrot, apple and ginger juice. I would make Strawberry, Raspberry, Banana and Grape. 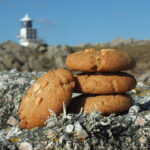 For me it would be Banana and Peanut Butter – heaven! I’d make a refreshing orange and grapefruit juice. I would juice spinach, lemon, orange and ginger together to make a cleansing and refreshing juice. Greens with ginger and linseed for a good detox. I’d have a go at pineapple, kiwi and apple. I’d make an orange and carrot juice – so good, our blender can’t cope with the carrots though so can’t make it at the moment! Aloe Vera and Cucumber…cool and refreshing. Great for the digestive system too. Blueberry, banana, honey, milk & oats. Difficult choice! I think I would go with mango and raspberry; a little odd, but I like it. Green apple and red cabbage is very good for your tummy. Apple and ginger is my all time favourite. Good old fashioned orange juice. Everyone favourite. Strawberries, bananas and coconut milk. The Heart Beet sounds delicious. I’d love to give that a try. A fruity one! I have some raspberries ready in the freezer and some bananas and pineapple too! I would probably just try making orange juice first. Plain straight Orange…to start with ! Time for a juicer upgrade then. looks so good- i would be raiding my fridge for leftover fruit and veg! Yay! Aussies and Kiwis know a thing or two about food! I’d make an apple, pear and ginger juice. Lime, apple juice, flax seeds and cherries! Definitely make one of the green juices, they sound delish! I’d start off gently with homemade apple juice! A green smoothie with kale, blueberries, raspberries, almond milk, quinoa and flax seed. Carrot, apple,grape and orange, add some melon if you like it a little thinner. I used to juice and my fave was carrot, satsuma (or orange) apple and pineapple. Add some ginger root for a little kick. I don’t get enough veg so would try the Heart Beet one or any other veg combined with beetroot. Mango and Banana, my favourite? I would juice together lots of things just to see and taste which is best. Anything with beetroot! I have loved it since I was a child, but never knew how good it was for me! One that I have seen on the tv – kale, carrot and apple – yummy! I would love this! Perfect for the summer and to make sure i’m getting my 5-a-day when my new baby arrives in May! 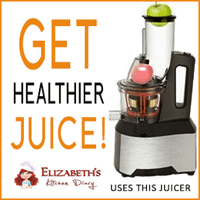 Juicing is amazing, I have been doing it for a while, and this sounds like a better quality juicer! i bet mixed berries would be nice! Strawberries, bananas, kale and ice cubes! A berry mix 😀 or maybe carrot and cucumber. I would like to make a mixed berries juice – strawberries, raspberries and blueberries. Kale, carrot, apple and ginger – Yum! My favourite home made juice is a whole pineapple, 4 oranges and 500g of white grapes. Something really simple like kiwi, banana & strawberry to get started – oh and raspberries too, my fave! Its sounds great I love the apple and ginger. This looks amazing! I need one! I’d make carrot, orange and apple! would have to be carrot and peach juice for me. I love it! Your heart beet recipe sounds delicious. My first to try would be either that, o a combination of kale, apple, banana, lemon, ginger and flax seeds. Had it at my Daughter in law’s and bounced all day! Beetroot all the way – it’s the future – although clearly not the pickled variety – that would be gross gross!! as a drink!! 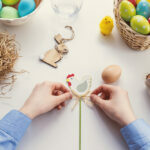 So happy to have found your blog Elizabeth! 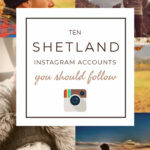 Have always wanted to visit Shetland! Great competition! I’d make an immune boosting carrot, beetroot and ginger, with a tiny sprinkle of maca! Apple & ginger juice! Yummy. It’s not a juice, but my favorite smoothie is this: Add milk, add half a container of blueberries, and add 1-3 tablespoons of peanut butter. If needs be, you can add honey to sweeten. It comes out lovely and thick, and it’s a great way to get some much needed protein if you’re vegetarian/vegan! The super greens one sounds yummy! I really like carrot, orange and ginger juice so I would make that. I’d start with just plain orange, to get used to how to use the snazzy machine! Pineapple and mango and a bit of ginger and chilli for health benefits! I would make a juice of Kiwi, broccoli and ginger to boost my immune system. I ADORE raspberries so something with raspberries, apples and ginger to give it a kick! Bananas – not according to the book but I love bananas. 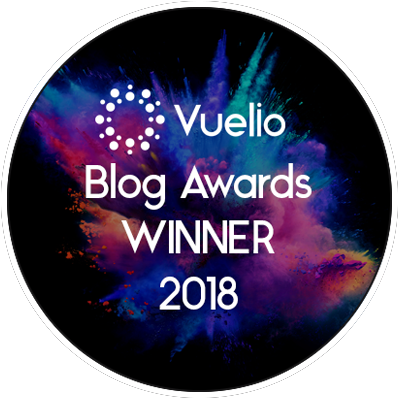 Lovely prize… fingers and eyes crossed. I want to be the first sprout smoothie pioneer… limited niche market perhaps. I would love to juice my ex boyfriends nuts and then serve them to his new girlfriend with beetroot, carrot , celery and ginger. Strawberries and banans in orange juice – a good wake me up in th emorning. mango and coconut 🙂 faye. The beetroot one you featured looks delicious I would try that This looks amazing! What a fabulous prize! I would certainly use it everyday. Honestly? I’d just throw a load of fruit in in excitement! Ok it’s not the most adventurous thing but I just love fresh orange juice – so that would be the first thing on my list! Then I would get more adventurous! I would make the Heart Beet recipe because I juice everyday & beetroot is one of my favourite ingredients. The recipe is not too complicated either. I’m using a centrifugal juicer which I’ve had for years and it’s time to get a slow juicer. A slow juicer produces a more nutrient rich juice and you tend to get more juice for your money. I’d love to win this prize and I’d put it to good use everyday. kale, kiwi, banana and cinamon. Apple, celery and ginger!! A strange combo that just works! Spinach, banana and some natural sweetening from honey or dates. 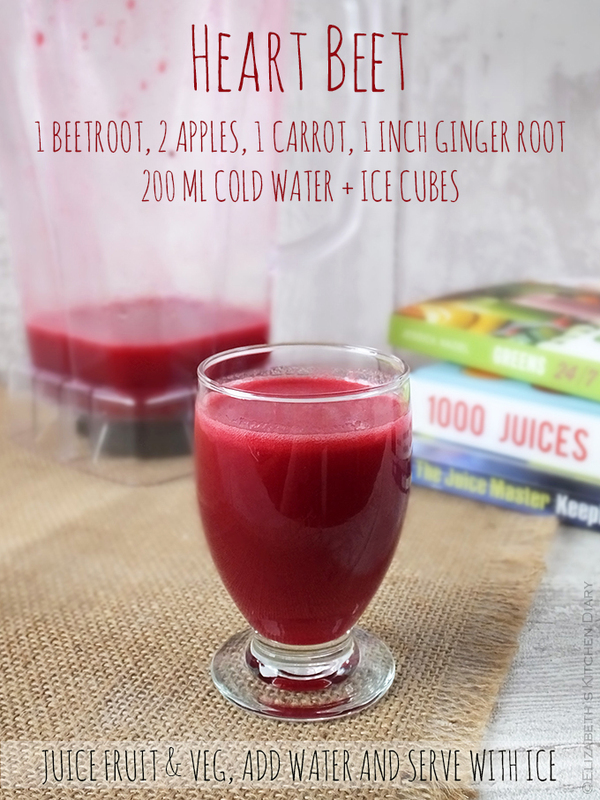 The Heart Beet sounds good, impossible to do without a super-juicer like this! Love to do a raspberry and cranberry DRINK . The Heart Beet juice looks scrummy – I have once covered a white kitchen wall trying to juice beetroot. Then went into meltdown because it wouldn’t come off! Now commonly referred to as ‘beetroot gate’. Just plain Pear juice, delicious refreshing and just the thing in the morning! Cherry and apple I think would taste nice together. I’d make a carrot, orange, apple and ginger juice. It’s my favourite!! Rhubarb and ginger is a must for someone living in the Rhubarb Triangle! I’m rather strange as I love banana smoothies but would never eat a banana straight from its skin! I’d like to try one full of greens, with apple to flavour it. anything with celery in it! Super green smoothie!!! Very healthy! Blackberry, apple and rhubarb….. nice and sharp!! Banana and peanut butter….yep, I’m weird! Would have to be strawberry & banana – my favourite!! fruit smoothie – orange, apple, banana. I have lots of frozen strawberries and other berries so I would make a Multiberry Smoothie. Quite fancy apple and beetroot! The Super Greens Juice – I am so keen to try juicing, I am already addicted to smoothies and feel this is the next step! I had to sell a masticating juicer I had a little while back as I needed a bit of cash. I miss it so much! Really need an extended juice feast. This Optimum 600 looks so much better model as it can handle whole fruit. Should make preparation quick and easy. The nutrition testing data speaks for itself. I’ve found centrifugal juicers to oxidise the juice too much and it quickly goes brown. Fingers and toes crossed everybody. To your health! Apple, melon, lemon and cinnamon. I’d try the heart beet juice, sounds yummy! Never had or used a juicer before so not sure what I would make. Haven some interesting recipes out there for fruit protein drinks though. I’d try to make the very in green juices. Throw in apple, kale, spinach, banana and see why it’s so popular at the moment. I’m very unhealthy at the moment. Being a student and working leaves little time to make sure you’re eating the right things and you usually have to grab something quick on the way to a lecture. As it’s so quick and easy to use, I can make a different juice every day to take to my lectures and put down that bagel. Definitely a super healthy green smoothie! I’d make a Heart Beet for my love, because he loves beets and I love him! Something with oranges, I find them refreshing! Anything with banana in it. The benefits to juicing for my health is amazing. I love both vegetable and fruit juices. t I would love to try veggie juices…never been able to do that! Honestly… probably something simple like Orange & Mango to get the hang of using it! It would have to be my favourite carrot, apple and ginger juice. It would be apple, pear and lemon. Amazing competition! I need to try the top recipe with the beetroot. Strawberry and banana smoothie with skimmed milk and plain yoghurt in the mix. Probably a kale and carrot and orange smoothie! AMAZING PRIZE!! Thanks for the chance and good luck!! Would love this cold press style juicer!! I would juice pineapple, carrot, celery and green pepper for a vitamin boost smoothie! I’d love to make a kiwi, banana, strawberry smoothie! I would make…a mess. A drinkable mess. But still a mess. These look amazing! Would love to try! Cucumber, celery, pear & melon – yummy! I’d go for a grapefruit, orange and ginger juice. Baby spinach leaves, apple, grapes and carrot. I have one so not entering, but oh my how I LOVE it Whoever wins is one lucky person. enjoy!! PS Great review, Elizabeth. Whatever I’ve got at the time, I’ll experiment. I love the idea of beetroot juice. Never tried it but the colour is fantastic. Excellent competition. Good luck everyone. Mango, strawberry and apple yum! I really like a pear and apple one I currently buy – would be better having it freshly made! Brocolli, Spinach, Celery, Carrot, tomato and watercress. All juicers I have used before make a right mess of this. So would be a good test also. I think I’d make some sort of green juice with a little bit of fruit to sweeten it. I’ve never had a juicer so would definitely need to experiment with flavour combinations. I’d definitely go with strawberry! I have crohns disease so would do a juice that would aid my digestion health with some nice soothing ingredients such as Mint, Fennel, Ginger and Apple. Apple and carrot juice – Yum! Mint, lime, spinach and apples. Soooo refreshing! I’d make a mint, spinach and apple smoothie as it is soooooo refreshing! I fancy a fresh mango, orange and pineapple smoothy. Your super greens recipe sounds amazing, so I’d give that a go.. then probably put in a combination of my fave fruit and veg. lots of different fruity juices! I’d try Heart Beet I have all the ingredient already and its not too complicated, I am trying to get more beetroot in my diet as it’s so good for you. I would make a citrus fruit mix and add some carrot and cucumber. I’d make something simple with orange and pineapple, just till I’d have the time to read some receipes! Mango and orange, super refreshing! I would make a banana, cherry, greek yoghurt and pear smoothie, thank you for a lovely giveaway ! I think I would try out your Heart Beet recipe! I have a juicer and smoothie book somewhere that has loads of great recipes in. I have just never owned a juicer before! Orange and Pineapple – YUMMY! That Heart Beet one, which sounds delicious, with lots of healthy veg! The Heart Beet juice sounds amazing. What a fantastic colour too! The first juice would be mango and banana…my all time favourite! I would juice my home grown beetroot from the garden with apple. A mix of my favourites. Raspberry and apple. This would be a great addition to the kitchen and would definitely help me to find lots of new flavour combinations for my smoothies! I would make a mixed berry drink. Apple, Kale and Carrot juice. I would make Heart Beet – it sounds delicious and so healthy! a nice kiwi and kale! I love apple, carrot & ginger smoothies so would def make that first! I would start with carrot, apple and ginger and work my way up!!! I would juice some apples with some lemons and some ginger. If I won this juicer I would make apple,ginger and avocado juice yummy! Raspberries, apples, kiwi, blackberries and raspberries, lots of ice to make it ice cold. Loads of fruit and veg goes into our juicer for the kids – a great way to get them to have their 5-a-day and they don’t even realise it. I’d try carrot juice because I’ve never tried it before! I would make some beeetroot, celery and carrot juice. I would make a juice of apples, pears and carrots. I’d love to try the recipe I recently found for homemade lemonade using just apples and lemons. So much more healthy than the bottled/tinned variety! I would juice together tomato, celery, cucumber, carrot, parsley,sweet green peppers and spinach to creat a juice that apparently helps beat fatigue! Just what I need! Thank you!